The Google Nexus 5 hasn’t been with us very long but already we’re seeing an update to Android 4.4.1 being made available for the new phone. Over the coming days/weeks those with the Nexus 5 should see the OTA update being offered to them but as is always the way with these OTA updates the roll out will be gradual. Some users have already got their hands on the update and the most significant change appears to be in the Camera department where a number of changes have been made that improves the overall performance of the camera. Good news for those of us that felt that the camera was lacking on the Nexus 5. If you cant wait for the update to arrive through the official channels over the air then you can force the install if you are happy to jump through a few hoops. I’m currently updating my Nexus 5 and will return with news of the update! It looks as if we will hopefully see an end to these over-long and costly patent wars between the big companies. For years we have been hearing about Apple suing Saumsung, Samsung suing Apple, Apple suing HTC, HTC suing Nokia, Nokia suing Apple etc… I’m sure you get the idea. 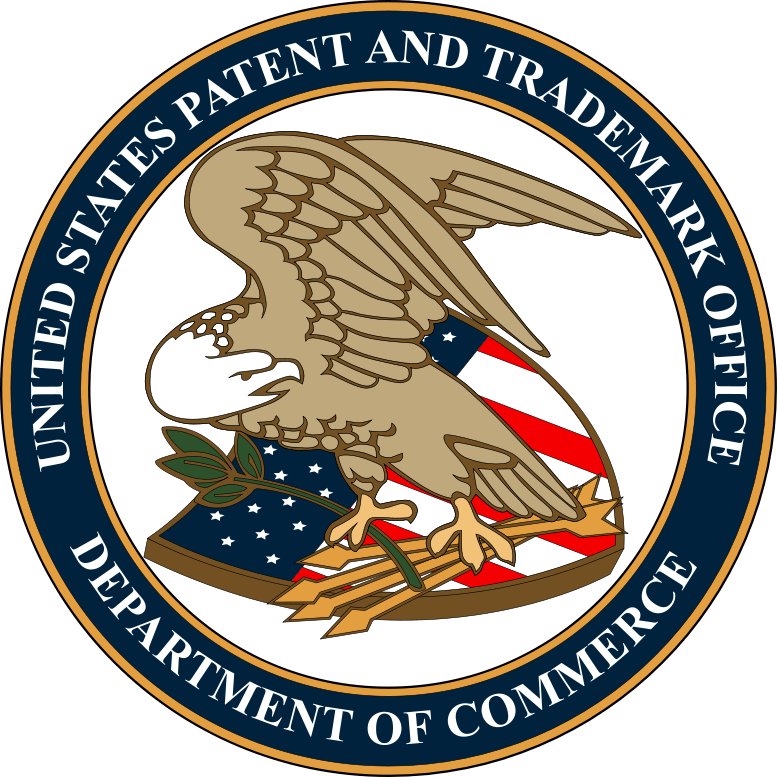 A recent bill passed through the “House,” or “Crib” as the Representatives residing there might call it, outlines a Patent trolling lawsuits. This initially seems like a good idea, however it might not protect the average Joe inventor who needs the system to help protect their discovery. If you legitimately make an awesome discovery, your right to profit from it. The real problem is that the patent office is totally incompetent and will give you a patent for obvious “inventions” if you dress it up nicely enough. Not just for practice uses, but for business method patents. That’s what gives these trolls the ammunition to shake down legitimate businesses. The HUAWEI ME909T provides 4G LTE CAT3 connectivity in a 40x40x4mm package that’s designed to be robust for automotive environments. Full press release can be found below. In this week’s show we talk about the Segaway, the Pong video game and the release of World Of Warcraft. In our feature segment we discuss Samsung mobiles. Some one must be listening to our podcast and has taken a shine to the Tablet Table. 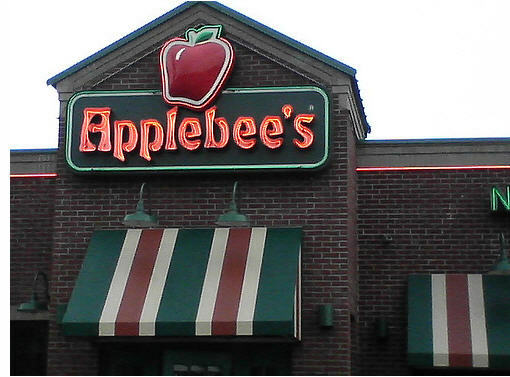 Applebee’s have announced plans to install a tablet at every table in its 1,860 restaurants across the United States. Customers will be able to use the devices to order food, pay the bill, and entertain their children with games. Recently, Amazon announced some flying barbecues to switch up their work force and Applebee’s look to be doing something similar. Eliminating the need to have a friendly server swishing around the tables collecting orders we will probably see the human touch reduced to shovelling plates from the kitchen and dealing with complaints when less technical patrons realise they have possibly pressed the wrong button. Chili’s have also announced the idea in the last few months, even going as far to say the tablets will pay for themselves by bringing in extra revenue from impulse orders and at-the-table gaming. Extra management will be probably be required for billing queries. When an individual decides to set up their own business, they will have a clear vision of what they aim to achieve. In an ideal world, this mission would be the sole focus of the business with all staff working to deliver it. In reality, secondary issues and tasks become involved. IT issues, HR processes and finance problems can all reduce the amount of time your staff members can allocate to achieving the dream. After all, less time equals less team output. With this in mind, it comes as no surprise that so many companies outsource their business processes. There are a number of advantages and disadvantages to doing so, as this post will explore. As you will be aware, offices can be incredibly stressful environments. In fact, research carried out by Viking and published in the Daily Mail has found that 40 per cent of office workers are stressed to the point where their health is at risk. As this shows, the last thing you or your employees will need is added tasks on your to-do list. One of the main benefits of outsourcing business processes is that it removes the pressure on both you and your staff. Letting another company deal with these tasks will significantly reduce your company’s workload, helping to alleviate stress in the process. As we have already mentioned, outsourcing business processes saves your staff a lot of time by delegating some tasks to an external company. This allows extra time for more pressing matters within the business. However, it can save you time in other ways too. In order to keep costs down, many companies will try and turn their hand to a number of tasks. Having a limited knowledge base and trying to do so could result in tasks taking longer than they should to complete. A specialised company will have all of the programmes and skills to carry out tasks quickly and efficiently, so are a much better option. One of the main concerns of many business owners is the privacy and security of their important data and details. Generally speaking, many people think that if they keep all of their processes in house, they are protecting them from theft and hacking. Giving their information to a third party company is unsecure, in many people’s eyes. However, there are ways of combatting this. Choosing a reputable business process outsourcing provider is one way of doing so. Nashtech is a good example of this. As they are a worldwide company who provide a service to millions, you know they are going to be both reliable and effective. This post has documented just a few of the advantages and disadvantages associated with business process outsourcing. However, as many companies will agree, the pros definitely outweigh the cons, making this kind of outsourcing a vital cog in the workings of any business. As time progresses, we are sure to see even more businesses making use of this useful service. Rising energy costs and the stark reality of global warming have resulted in a growing movement around the world to implement more environmentally-friendly computing practices, referred to as “green computing,” in an effort to reduce energy use and environmental waste. Green computing is a must for any business in order to save money, conserve energy and benefit the entire planet. A recent report by the World Wildlife Fund highlighted the huge savings that can be wrought by taking carbon-reduction measures. Corporate projects to reduce carbon have generated a better return on investment for approximately 80 percent of large American companies. Using less energy benefits a company through significant savings and helps increase the bottom line as well as being the environmentally responsible way to run a business. 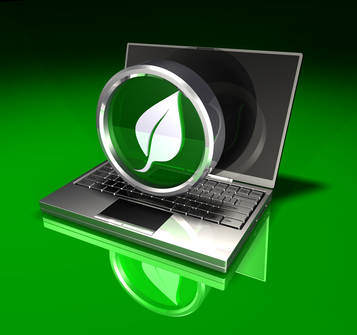 How can your business implement green computing? When it’s time to buy new equipment, replace those older CRTs with new Energy Star labeled LCDs that are more energy efficient and occupy less desk space. When servers need to be updated, be sure to purchase energy efficient models; nearly all manufacturers today are producing more “green” servers. The more Energy Star compliant devices you have, the more you’ll lessen your environmental impact while reaping greater financial savings. If computers are not properly recycled and end up in a landfill, their toxins are released into the environment, contaminating water and soil. Inquire about programs in your community for repurposing old equipment such as through local schools and other organizations which may be able to refurbish and put those items to good use. If this isn’t an option, do some research to find a way to properly recycle, such as through Computer Recycling Center at CRC.org. There is no shipping cost, and the national organization offers to recycle old computers or donate them for use in public charity and community programs. In some regions of the country, you may be able to choose an energy company due to deregulation. This generally helps make the marketplace more competitive, encouraging suppliers to become more innovative in how they generate energy, lessening environmental impact and lowering prices which can help a business save on its monthly energy bill. If your business is located in one of these markets, research the history of energy suppliers to learn about the wide range of choices you’re likely to have for providers. Telecommuting can be an important part of any company’s green computing strategy. Living Green magazine reports that it’s been estimated that as many as 40 percent of jobs held in the U.S. could be done from home, which means fewer tailpipe emissions and greenhouse gases being released into the atmosphere. Just some of the many benefits of telecommuting to an organization include lower energy costs as well as reduced real estate requirements. There’s been an ongoing court case between HTC and Nokia, where Nokia is seeking an injunction preventing the sale of the HTC One because Nokia claims that HTC have infringed one of it’s patents with the HTC One. The claim relates specifically to the ‘HDR’ Microphone that is included in the HTC One and Nokia insists that the technology is theirs. The high court judge presiding over the case has published a ruling that included language that effectively outs the HTC One replacement and states that it’s launch date will be in the first quarter of 2014. 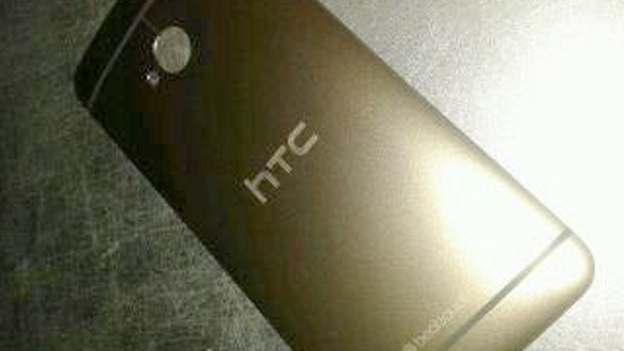 HTC is close to launching the successor flagship model to the HTC One. HTC has not revealed the launch date. Nokia has adduced evidence which suggests that the launch date is in the first quarter of 2014 and possibly as early as February 2014. Typically mobile phone manufacturers would want to keep their release timetables a closely guarded secret so this very public leak may displease them but for those of us loving our HTC One phones it’s great news that we’ll soon see a successor. The judgement rules in favour of HTC in respect of the HTC One and there will be no sales ban of this phone. A ban on the HTC One would have been devastating to HTC as it’s currently their best selling phone. There have already been several rumours and leaked shots of the new HTC One, know at the moment as the HTC M8, and all suggest the new phone will come with Android 4.4 KitKat, 3GB of RAM, a 5-inch 1080p IPS LCD display, Boomsound speakers, and the seemingly omnipresent Snapdragon 800. The convenience of email can be both a blessing and a curse: never has it been so easy to keep in touch with so many people across the world. At the same time, most of us have inboxes that are creaking under the strain of their simply being too many messages to cope with. And once email overload starts to take a grip, it’s tempting just to ignore it altogether. Using email should be a pleasure and/or a convenience, not a chore, and the key to improving the quality of your inbox experience lies in email management. Whether you set up a system of your own or employ a selection of apps and extensions to do the job for you, getting an organized routine in place can make a world of difference to the way you use email. Emails can quickly swallow up a substantial part of the day, if you let them. It’s important that you dictate how much time you spend checking messages, rather than simply responding to the volume of messages that come in. Decide how often you’re going to spend managing email, and resist the temptation to keep checking in too regularly. If you’re going to look at your emails, deal with them at the same time. How this works in practice will be different for everyone, both in and out of work. 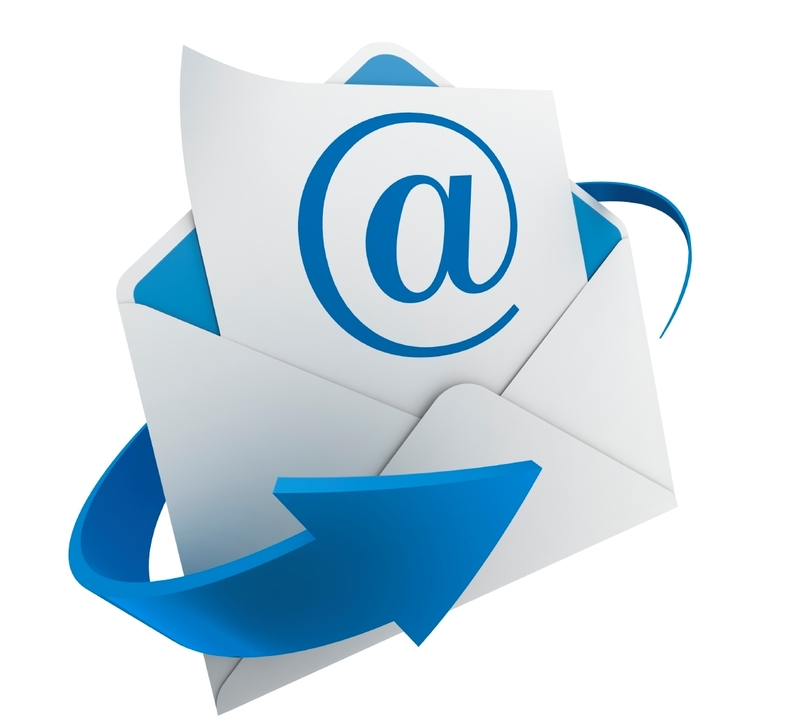 Email communications may be crucial to your job or a distracting annoyance. Whatever the scenario, it’s crucial that you’re calling the shots and setting the ground rules, rather than reactively organizing the rest of your day around the demands of your emails. If you’re at your wit’s end with email overload, don’t despair: help is available. Whichever app you’re using to access your messages, whether on the web or the desktop, you should find anti-spam and filtering tools that can help you take charge. Consider filtering out messages from all but your most important contacts, for example, ready to be dealt with at a later stage. There are also many extra add-ons, extensions and third-party applications that you can employ to manage your email. The majority of these tools take the stress and strain out of organizing your email for you, cutting out unwanted messages and protecting you against viruses and phishing attempts at the same time. 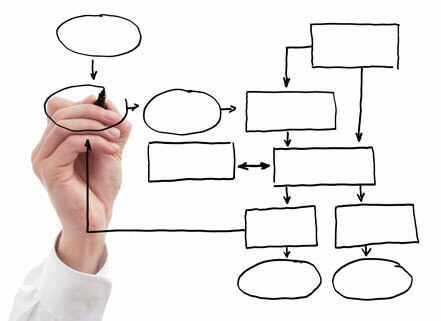 For those managing a business, a more comprehensive enterprise management system is required. Again, there are many options to choose from, such as the solutions offered by Mimecast, covering security, archiving and migration from other services. Pick a cloud-based service and much of the hard work is done before the messages arrive on your local system, which means you can enjoy a more optimised email experience. Any time you take in waiting to address the issue of managing your emails is going to compound the problem and make it more difficult to untangle yourself from the mess. Get help with email management and it can transform the way you deal with emails and your communications with the outside world. Huawei, a leading global information and communications technology (ICT) solutions provider, today launched its global holiday online competition ‘Unlock Possibilities’. The free competition provides the chance to win a line-up of goodies, culminating in two grand prize Mercedes-Benz Sports Coupes. The ‘Unlock Possibilities’ competition further demonstrates Huawei’s aspiration to become one of the leading mobile phone brands globally by bringing quality, innovative and fashionable products within reach for more people. 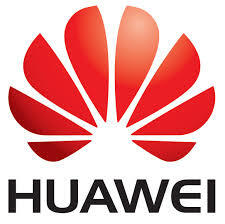 With a focus on the HUAWEI Ascend P6, ‘Unlock Possibilities’ is set to excite a global audience as Huawei continues to build its leadership in the smartphone industry. The ‘Unlock Possibilities’ competition invites people to play a game and make a connection for the chance to win a range of prizes including the HUAWEI Ascend P6 smartphone and E-coupons. Game credits and golden keys will also be awarded to help people increase their chances to win one of two Mercedes-Benz Sports Coupes. To take part, visit the Huawei Device Facebook page www.facebook.com/huaweidevice or the official mobile site unlockpossibilities.mobi. People in the United Kingdom can also visit Huawei’s ‘Unlock Possibilities’ experience display at Westfield Shopping Centres in Stratford City and London. By playing Huawei’s digital game with a friend, users will get the chance to win Westfield shopping vouchers. At the booth, shoppers can try Huawei’s array of products including the flagship Ascend P6, Ascend P2, Ascend Mate, Ascend G510 and Ascend Y300, and retrieve discount vouchers for Westfield stockists. The flagship HUAWEI Ascend P6 has exceeded two million global shipments worldwide since its launch in July, and is now available through Europe’s mainstream carriers including Vodafone, Telefonica, Orange, and H3G, as well as the UK’s largest mobile phone retailer Carphone Warehouse. 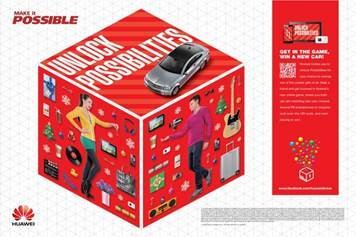 The ‘Unlock Possibilities’ competition will run on Huawei Device Facebook pages and the official mobile site unlockpossibilities.mobi from December 1, 2013 to January 4, 2014. Westfield Shopping Centre activities will begin in Stratford from December 1 until December 24, 2013 and in London from November 20, 2013 until January 5, 2014. Grand prize winners will be notified by phone and email while runners-up will be notified by email.